Michael Earl Grant is charged with July thefts that occurred at substations in Winslow, Augusta, Windsor and Farmingdale. AUGUSTA — A grand jury in Kennebec County handed up three separate indictments against a Skowhegan man charging him with breaking into four Central Maine Power Co. substations and stealing copper wire over a one-week period in July. Michael Earl Grant, 30, faces four counts of aggravated criminal trespass and of theft by unauthorized taking, two counts of criminal trespass and one count of unlawful possession of heroin. He is accused of breaking into the substations in Winslow July 15-18; in Augusta on July 18, and in Windsor and Farmingdale on July 21. A second man, Brandon P. Lee, 30, of Waterville, was indicted on two counts of receiving stolen property in connection with the disposal of wire from Central Maine Power. According to the indictment, those offenses occurred July 21 in Windsor and Farmingdale. Police estimated that the cost of the damage to the substations and the value of the copper wire stolen are $20,000 to $30,000. Power company officials warned that trying to steal copper from a high-voltage electrical station can have dire consequences. • Tricia L. Barry, 41, of Augusta, two counts of theft by unauthorized taking, April 12 and June 25 in Augusta. • Larry Earl Bowler, 35, of Monmouth, unlawful possession of heroin July 2 in Winthrop. • Charles D. Buckingham, 54, of Augusta, aggravated assault and domestic violence assault Aug. 7 in Augusta. • Brian Robert Buzzell II, 28, of Waterville, gross sexual assault June 27 in Waterville. • Aaron P. Castonguay, 30, of Farmingdale, criminal operating under the influence July 12 in Hallowell. • Vanessa I. Cayford, 39, of Waterville, theft by unauthorized taking July 9 in Waterville. • Jacob R. Choate, 26, of Augusta, unlawful possession of heroin May 26 in Gardiner. • Kevin R. Clement, 28, of Belgrade, burglary, theft by unauthorized taking and criminal mischief March 1 in Belgrade. • Sherie M. Cote-Hall, 47, of Winslow, failure to appear in court May 13 in Augusta. • Philip Justin Fitzherbert, 30, of Litchfield, attempted burglary and criminal mischief Aug. 27 in Augusta. • Edwell D. Gethers, 35, of Waterville, violation of condition of release Aug. 12 in Waterville. • Jon A. Hall II, 21, of Winthrop, three counts of possession of sexually explicit materials depicting a person under 12, all July 29 in Winthrop. • Douglas William Hanson, 39, of Oakland, burglary, theft by unauthorized taking, criminal mischief, violation of condition of release Feb. 7 in Mount Vernon and unauthorized use of property Feb. 6 in Waterville. • Amy J. Hudson, 32, of Waterville, theft by unauthorized taking April 23, 2012, in Waterville. 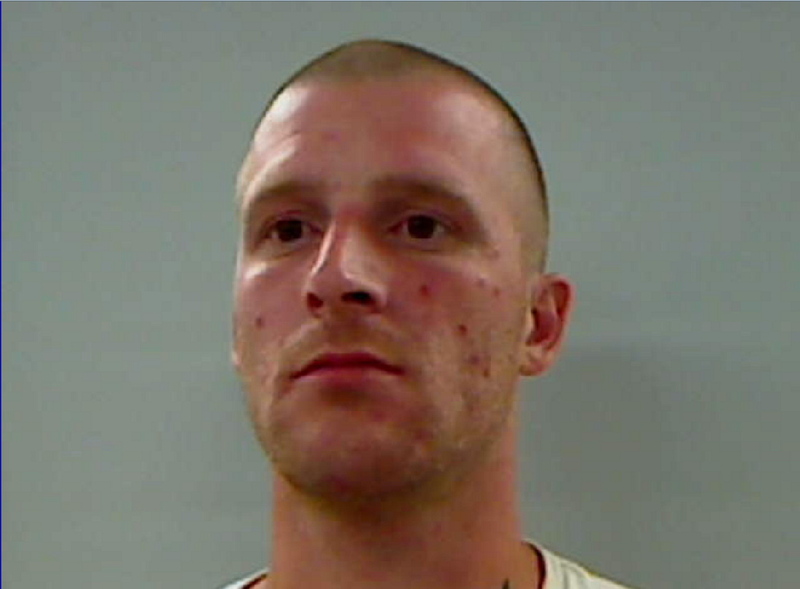 • Isaac James Jacques, 37, of Oakland, violation of a protective order, aggravated criminal trespass, stealing drugs and domestic violence assault all July 2, in Waterville. • Alyssa Danielle Marcellino, 23, of Winthrop, receiving stolen property, forgery, and theft by deception May 15-17 in Augusta. • Anthony James Martin, 45, of Madison, two counts each of reckless conduct with a dangerous weapon and assault, all Sept. 5 in Waterville. • Edwin Y. Morris IV, 30, of Benton, unlawful possession of oxycodone Aug. 5 in Benton. • Nathan Morrow, 22, of Caribou, receiving stolen property and operating after revocation May 27 in Waterville. • Brian Thomas Mulkern, 34, of Waterville, burglary, theft by unauthorized taking and criminal mischief Aug. 26 in Winthrop. • Jake J. Pilsbury, 23, of Somerville, burglary, theft by unauthorized taking, criminal mischief, violation of condition of release, operating after suspension and unlawful furnishing of heroin Aug. 24-Sept. 2 in Windsor. • Ashley N. Rideout, 27, of South China, unlawful possession of heroin and operating after suspension Aug. 7 in China and theft by unauthorized taking March 17 in Waterville. • Tyler Wayne Robinson, 25, of Augusta, unlawful possession of heroin Aug. 10 in Augusta. • Robert P. Rodgers, 49, of Winthrop, domestic violence assault and violation of condition of release Sept. 12 in China. • Thomas St. Pierre, 56, of Augusta, aggravated assault and domestic violence terrorizing Sept. 6 in Augusta. • Tony Richard St. Pierre, 43, of Augusta, receiving stolen property, failure to give correct name and operating an ATV on a public way July 3 in Clinton. • Thomas J. Schanz, 36, of Waterville, aggravated assault, domestic violence assault, and two counts of violation of condition of release, all Aug. 26 in Waterville. • Frank C. Stewart, 23, of Augusta, aggravated assault Aug. 16 in Augusta. • Rachel L. Stone, 36, of Oakland, aggravated assault July 5 in Waterville. • Kevin P. Trepanier Jr., 25, of Norridgewock, receiving stolen property May 2 in Benton. • Donald E. Westover, 67, of West Gardiner, theft by deception and violation of condition of release April 16 in Litchfield. • Ashlie Rhi-Anna Whitmore, 26, of Augusta, receiving stolen property April 24 in Augusta.